During my 8 years of flying as an FAA private pilot, I tried my best to stick to this mantra. From flying my own plane every chance I got, to taking lots of Cirrus training, aerobatics training & even seaplane training, I was constantly learning, studying, practicing and, of course, enjoying every second of it. If there’s one thing I love as much as travel, it’s flying. Lucky for me, the two often go hand in hand. 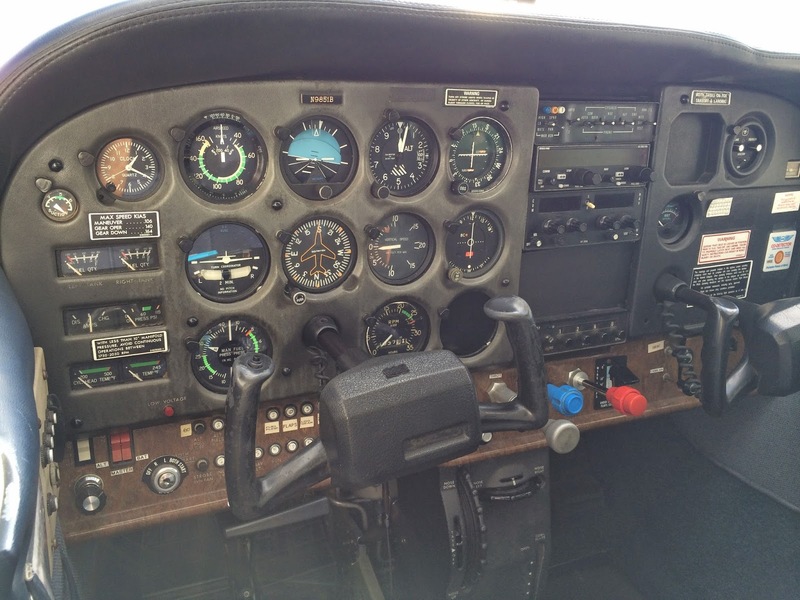 I had been thinking about getting my commercial pilot’s license for a couple of years. I looked into the requirements, researched the best places to take the course, and even went as far as buying the books (which I halfheartedly read and studied off and on for the better part of two years). 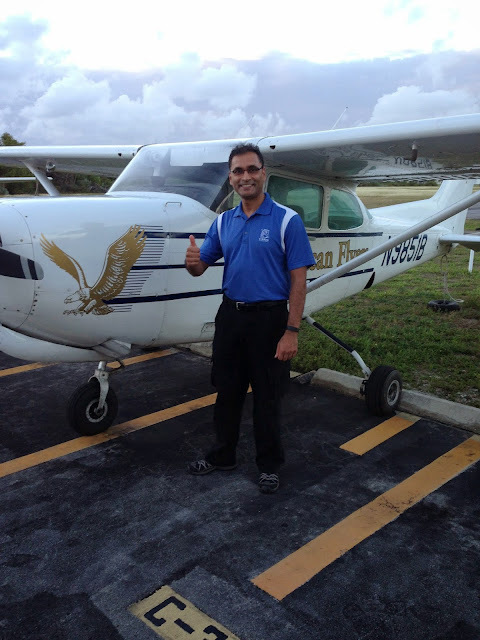 Though I had no desire to make a profession out of flying, I knew that if I wanted to take my skills to the next level and getting my commercial license was a great way to do so. The bug was planted in my ear in December, and making it my New Year’s resolution of 2014, I knew I had to take the plunge. 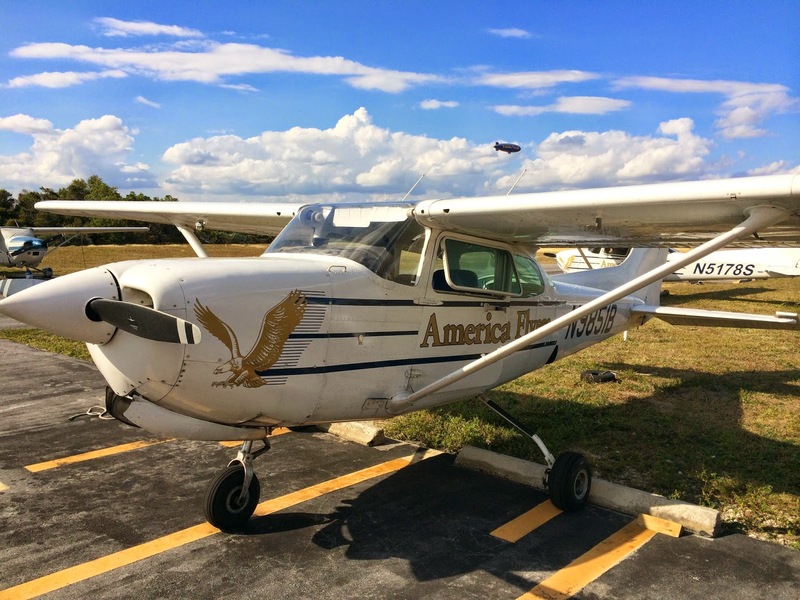 I looked into the best school and training course for my rather crazy work schedule, and found American Flyers in Pompano Beach, which is near Ft Lauderdale, Florida. I took a complete week off of work, which is something I seldom do. This enabled me to focus my time and energy completely on training both on the ground and in the air. Since I had my Private Certificate and Instrument Rating already under my belt, I wasn’t really nervous about the flying aspect of the course. If anything, I was a bit peeved at the silly requirements the FAA calls for when training for the commercial license. Despite the Cirrus being a modern, luxurious, overly capable plane, the FAA required the test to be flown in a “retractable plane”… meaning the landing gear retracts into the airplane. The old six-pack cockpit definitely took some getting used to! While it looked like a jalopy, it was surprisingly well maintained and was really "fit for purpose"! Back to the story though, and I’m definitely not airborne yet. Strangely enough, the maneuvers weren’t all that different from the ones I had to do during the my private training. They simply had to be much more precisely. There were a few new ones, which I thought were actually fun! In particular, I enjoyed the lazy eights and the eights on pylons. Both of these maneuvers simply felt elegant when done correctly. However, operating the antique airplane with old-fashioned everything and not a glimmer of modern technology (not even GPS) was WAY out of my comfort zone. But after a week of study and practice, I was ready for my Check Ride. The only question looming in the distance now… was my Check Ride ready for me?? After a week of intensive training, I was ready to take on my Check Ride. The kind faces at American Flyers were long in the past now, and for my final exam, I faced a whole different breed of pilots.... These were the hardened, time & flight weathered, FAA designated examiner, who had spent more time in the air during their lives than they did on the ground. They had been through every type of in-flight problem imaginable, knew everything there was to know about the history, practice and profession of flying, and weren’t about to allow some flighty (pun intended), rookie of a pilot into the commercial club. Needless to say, I thought the exam was INTENSE. My FAA examiner had flown 18,000 hours in the military, another 20,000 hours commercially… and then became an FAA examiner. This guy really knew his stuff. We sat down for a good 2 hours for the oral exam, where I was tested, tried, tricked and perhaps even slightly tormented ;-) I am sure he didn't feel that way ... But I sure did. In my mind though, I knew my stuff, and I didn’t think there was anything to worry about. Finally, after the 2 hours were through, the examiner looked at me and said “OK, we’re finished.” He got up… and just walked out the door. Hmmm... "OK, we’re finished"… Did I pass or fail? I wasn't really sure. Did I say or explain something wrong? My mind was reeling, and I wasn't sure what to do. If you did happen to fail the oral exam, that was the end of the road for that day - you didn’t even get the chance to take the in-flight examination. You packed your books, called it a day, and got the “better luck next time” stamp of disapproval. 3 minutes I was sitting there in a despondent sweat, wondering what I had said wrong, when all of a sudden the door swung open and the examiner walked inside the room. … I guess I had passed after all! ... Time for the inflight portion!! With the oral examination completed (and apparently passed), it was time for the real-deal Check Ride. We boarded a 1978 tin can and were ready to hit the skies. The only thing getting in between my commercial pilot’s license and me was the examiner to my right… and the black rain clouds looming in front of me. The examiner seemed confident that we could still carry on with the ride, so I took to the skies and explained what my flight plan would be. In my Cirrus, a “flight plan” pretty much consists of following the GPS-guided magenta line on the screen in front of me. I finesse the joystick a bit, which many passengers tell me looks like I am playing a video game, and we’re well on our way to wherever! He replied “A little rain never hurt anybody... and we are still legal and VFR... So just continue on this heading” Clearly he wasn’t the one getting wet! 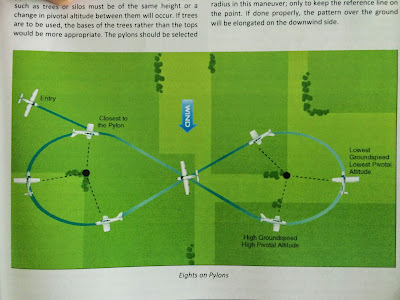 I gained control of the plane- entirely manual now- and looked around for the nearest clearing for my powerless landing. Following all the procedures exactly as I was supposed to, I got the plane to about 500 feet above an open farm before the examiner hit the power again and said “Hey, looks like you got lucky, your power came back.” Fantastic. With the most difficult stuff out of the way (or so I thought), I started making my way back to the school. All of a sudden, the airplane’s radio system (which is our only means of communication with the control towers/air traffic control) entirely cut out. I reached back into my studies and started doing all the right procedures once again, until I looked at the examiner and realized that this wasn’t a test… the radio actually failed!! As we made our way back to the landing strip, air traffic control (we could hear them but they couldn’t hear us) quickly assessed what was going on, and moved into radio-less protocol. As they spoke to us, we answered by clicks on the radio, maneuvers with the plane (rocking the wings back and forth) and were finally cleared for landing. Touching down that 1978 heap of antiquity, I knew I had passed my test after that ordeal!! We made our way inside the school and I was awarded my temporary commercial pilot’s license right then and there. I rang the traditional bell as I received my certification and walked away seriously proud of my commercial accomplishments. 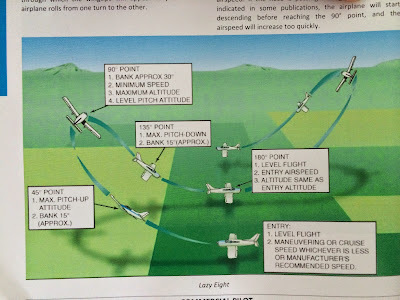 From the expected trials and tricks to the unexpected maneuvers and all out radio failures- I definitely know why a good pilot should always be learning! Now that I’ve obtained my commercial pilot’s license, I’m that much more qualified to rent planes, fly internationally and embark on my own self-fly journeys. Whether on land or in the sky, follow along to see where my next travels take me! Being in Singapore has really changed my flying dynamics. While the variety of flight environments and aircraft that I am experiencing has increased, the spontaneous possibilities are very limited. In fact, every flight is an international flight and requires paperwork and planning several days in advance. In addition, the cost of flying in Asia is quite steep ( ~ triple the cost in the US). This really has made me appreciate the US flying environment more than ever! So I have been using my fairly frequent trips to the US to ensure I maintain my currency and proficiency. Since I am not very familiar with the Atlanta airspace, I filed an IFR flight plan to FL. After clearing all the MOAs on my nearly direct route, I cancelled the flight plan and started to play.. Oops I mean practice... First a few warm up steep 360s, then some slow flight and stalls. Usually these maneuvers are practiced at much lower altitudes. But I happened to be @ 11,500 FT and the wind was tame so I just did it at altitude. It felt strange to do power off stalls and air work at that altitude. but the good part was that there was no other other traffic in the way! Next I descended near Ocala and practiced a few approaches. The first couple I did with the R9 and the autopilot. then just to convince myself that I remembered how , I also flew a couple by hand. 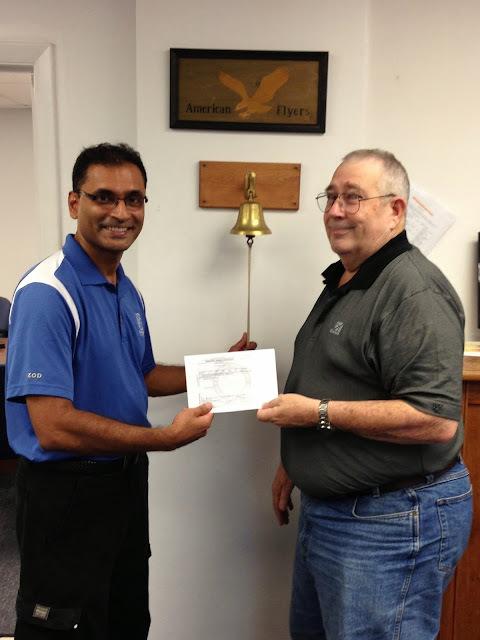 Then it was on to my former home base @Tampa Executive, where I had to fight howling 20 kt crosswinds! This kind of random spontaneous flight is simply not possible in many other countries. So I was really having a ball! Then it was on to visit a flight school on the east coast, where I am planning to pursue a commercial rating later this month. Finally, I did a leisurely journey back to Trip's hanger @ LZU. When I tallied the logbook, I was pleasantly surprised to see 12 hours, 15 approaches and over 100 pictures! After all the spartan cockpits I have been in lately, it felt great to be back in the cirrus cockpit, where everything just felt smooth and effortless and it also felt good to shake off the rust!